Each year SE Uplift provides our neighborhood associations with a small amount of funding that can be used for communication and outreach efforts. Communication funds become available in October, are accessed on a reimbursement basis, and must be spent by the following September. To receive funds, NAs must first submit a proposal approved by their board outlining how they plan to use their funds. 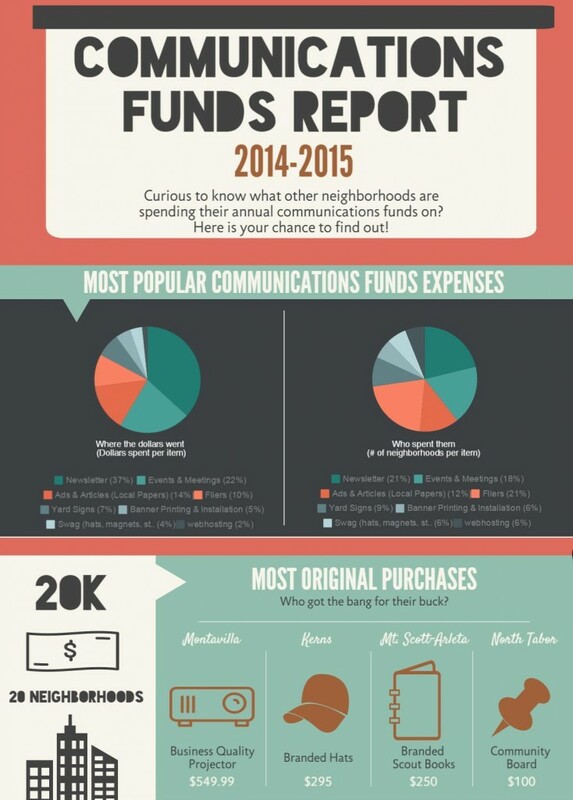 Curious to know what other neighborhoods are spending their Communications Funds on? Take a look at the infographic below to find out!